You might be wondering why I would name my website Corky Bloom Studio. I’m sure that most of you went to the about page and notice that my last name is Corke. Case solved, and now you can move on to the next blog. I have to tell you that you are partly right. That name has a deeper meaning for me and I want to share it with you. When I was younger, the street that I lived on, all the kids played together. We would ride our bikes to the park, play tag and do all the exciting things that kids do. It was a great time in my life where I had no worries like bills to pay. 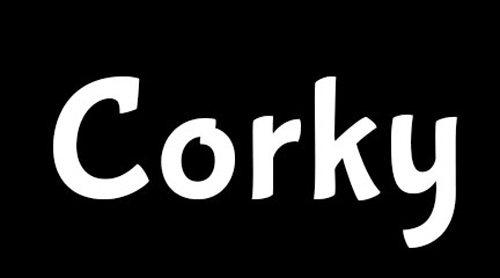 One day a friend of mine decided to call me Corky. It sounded cool to me and I ran with it. Soon everyone around the block was always calling me Corky. Kids from other blocks would also call me by that name. The funny thing is most people didn’t know my real name which I found strange. There was a part of me that loved the celebrity status that came by the nickname. Like every good thing, it came crashing down. A show called “Life goes on” came on the air. There was a character called Corky who had Down syndrome that was on the show. Once everyone saw that show, people would tease me by imitating the character. We all know that kids can be really cruel, so that when I started to hate the nickname. I wanted nobody to call me Corky and soon enough the nickname faded. In my last year of high school people started calling me that again. This time I didn’t care if someone made fun of the nickname. It was part of me and I accepted it. This is why I name my website Corky Bloom. People still call me Corky which is funny since I’m a lot older, but why stop people from calling me that. I think it is an eye catching name that put a little humor into it. Bloom on the other hand is a different story. Next Next post: I love me some Red Blacks!